Window Tint Florida is Proud to Serve The Villages, Florida! If you are lucky enough to call The Villages home, then you don’t need to be convinced that it is a great area in which to live. From the golf to the dining, the bustling town squares to all the quiet, private space perfect for relaxation, once people move to The Villages they tend to stay put. 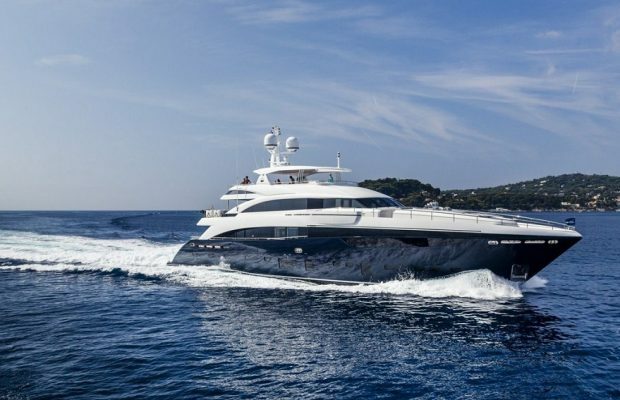 One of the main draws of this coveted area is of course the climate. Central Florida enjoys mild winters and a pleasant fall and springtime. But things can get pretty hot in the summer, as anyone who has spent those months in The Villages will tell you. When the Florida sun beats down on The Villages, don’t close the blinds and crank up the AC. 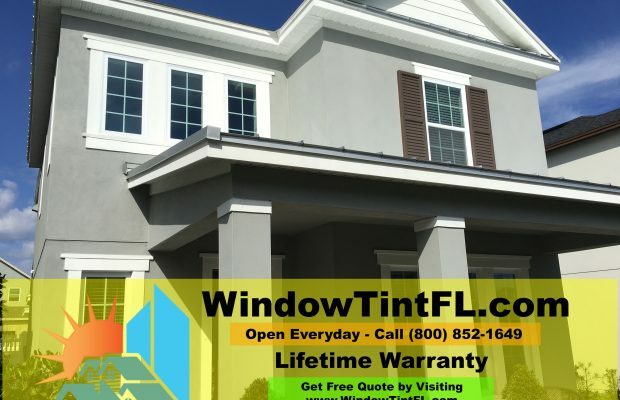 Instead just let the team from Window Tint Florida treat your residence with window tinting films so the sun’s pleasant natural light can brighten your The Villages property while blocking out the hot thermal rays you want to avoid. 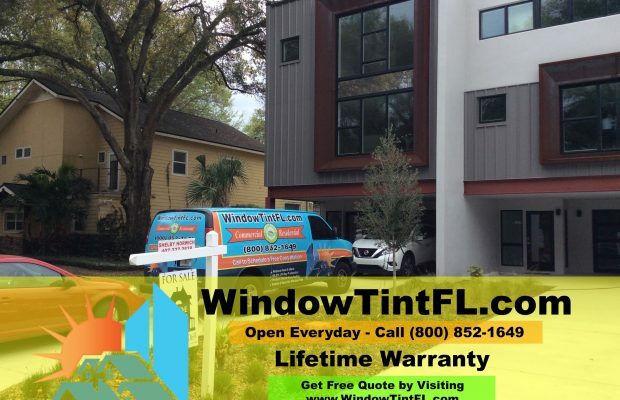 We have worked with both commercial and residential customers around The Villages and clear across the state of Florida and we would love the chance to show you what benefits window films can offer you. Just read on or grab the phone and give us a call! Window tinting will cut down on your cooling costs during those hot summer months by blocking the sun’s infrared rays; in fact, window film can also reduce heating costs in the winter months by making your windows better insulated. Regular glass windows allow sunshine to stream into your The Villages home unchecked, meaning a warmer interior that is pricier to cool. With tinting, your windows will block up to 99% of the thermal infrared rays, and that means money back in the bank, something no The Villages resident is likely to complain about! Ultraviolet light can cause a multitude of problems. It can damage your The Villages home’s flooring and upholstery by fading and bleaching them. UV rays can ruin photographs, artwork, and other decor over time. And of course ultraviolet light can damage your skin, even leading to skin cancers, with prolonged exposure. 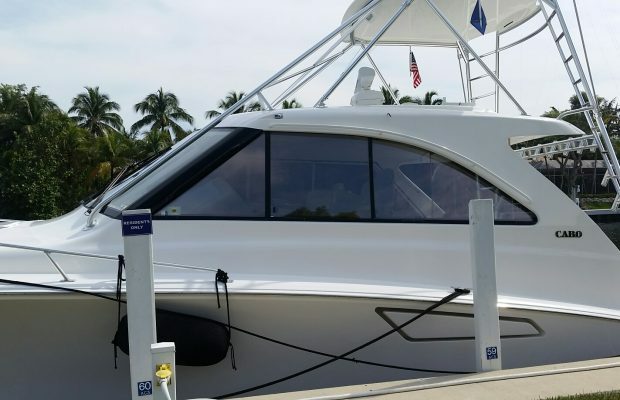 That’s why Window Tint Florida proudly offers our The Villages customers top-quality Huper Optik window films that block up to 99% of the sun’s harmful UV rays. Even in an idyllic place like The Villages, Florida security window film is still a great idea for the responsible homeowner. True, it’s rare that things go wrong in The Villages, but when there is a spree of break-ins and thefts, don’t count on the burglary happening to someone else, be prepared in case your home is the target. Security window films coat your glass windows with a rugged, durable lining that prevents the glass from shattering into pieces when struck, and that means your home won’t be breached by the bad guys. Security window films are also equally effective against damage caused by storms, and any long-time resident of The Villages knows that when one of Florida’s bad hurricanes comes raging on through, you just can’t be too prepared for the worst. Protect your home from windows shattered by flying windblown objects and from the flooding sure to follow with security window films. You didn’t move to The Villages to be gawked at by strangers, you moved here to relax and enjoy life in peaceful privacy! 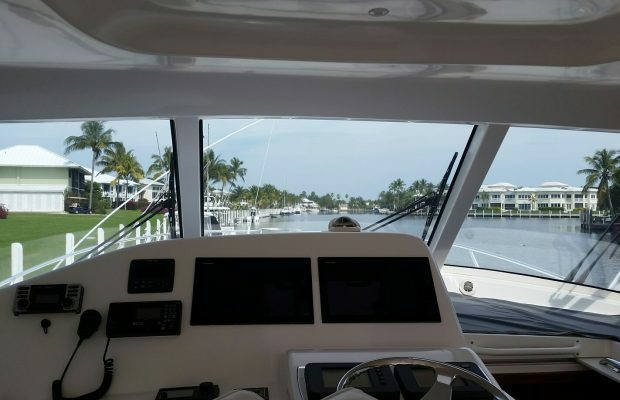 So treat your home’s windows with privacy enhancing window films and keep unwanted eyes from seeing into your residence while not diminishing your view out into lovely Florida at all. And don’t worry: our privacy window tinting will still let in plenty of pleasant natural light. Want to give your The Villages FL home a touch of added curb appeal? You have more options just some landscaping or a new paintjob – after all, much of the walls of your home are likely windows, so don’t overlook them during that “makeover” project! 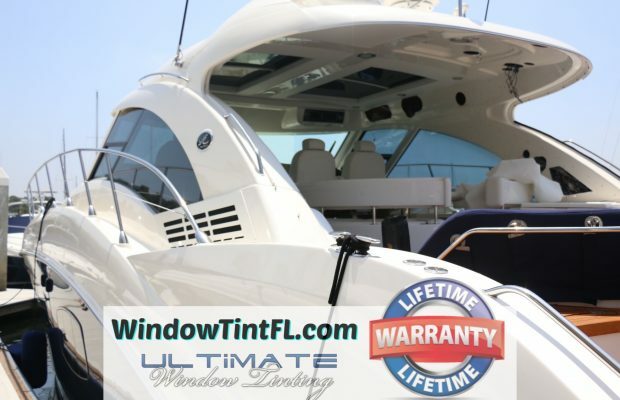 Window Tint Florida offers a wide array of decorative window films offering visual enhancements such as soft frosted finishes (that block the view of anyone outside yet still let in sunlight) to a sleek metallic or mirrored finish (great for modern homes). Call us up to discuss all the ways we can have your home looking fabulous thanks to decorative window films. There are two things that any good business owner/operator cares about most: people, and the bottom line. When you think about it, window film is actually a great way to take care of both your employees/patrons and your accounting all at the same time. Window films can keep your office, shop, restaurant, or golf club cooler, more private, and more secure while at the same time majorly cutting down on your energy costs and thereby saving your The Villages area business money. 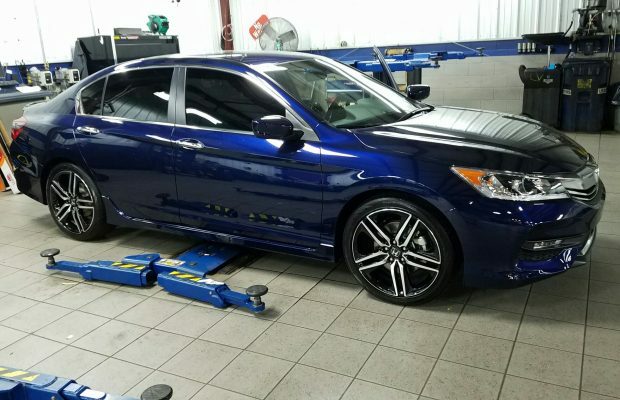 We have worked with all different types and sizes of commercial customers around The Villages and greater Central Florida, and we would love to make your business (or school, medical practice, or any other type of commercial location) our next satisfied The Villages window tinting (or security window film or privacy film) customer. The Villages, Florida is consistently ranked as one of the safest places in the state and even the entire country. But the responsible business owner knows that crime is still a possibility, as are dangerous weather-related events, and plans ahead to protect their business. A security system is of course a great start, but even a high-tech alarm system can only alert you and the authorities to a break-in or vandalism, it can’t help to prevent damage or theft. 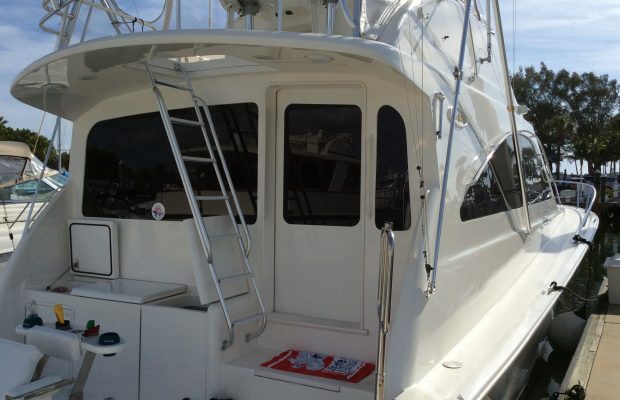 But security window films installed by the pros at Window Tint Florida can! Our security window films will make the windows of your The Villages property virtually shatter-proof an impenetrable. And that will be as true against a would-be thief’s crowbar as it will against a heavy object sent airborne by gale-force winds, too! In order to maintain a pleasant atmosphere either for patrons to browse about your The Villages retail shop, for diners to relax and enjoy a meal in the restaurant you manage, or for your employees to feel comfortable enough to be focused and productive at their desks, they need privacy from the outside world. Nothing ruins a meal or a meeting faster than the unwanted gaze of strangers staring in from outside. 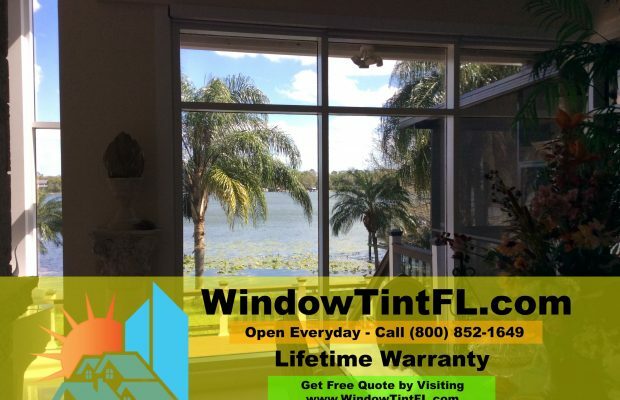 With privacy window tinting films your The Villages, FL property will be all but impossible to see into from outside, but will still afford those within a perfectly crystal-clear view out into lovely The Villages, Florida. If you are looking to give the commercial property you own or manage a stunning makeover at prices that won’t break the bank, consider architectural window films. Also known as decorative window film, these are films that can alter everything from the color to the pattern of the windows of facilities like gyms, schools, office towers, and more. When you consider many commercial facilities, you will realize that often there is as much glass visible as there is concrete or brick. Treating those glass windows with architectural window film is the simplest way to make your The Villages place of business look great to all who pass by, and of course to the clientele about to come inside.